"35A. Compensatory costs in respect of false or vexatious claims or defenses (1) If any suit or other proceedings including an execution proceedings but excluding an appeal or a revision any party objects to the claim of defence on the ground that the claim or defence or any part of it is, as against the objector, false or vexatious to the knowledge of the party by whom it has been put forward, and if thereafter, as against the objector, such claim or defence is disallowed, abandoned or withdrawn in whole or in part, the Court if it so thinks fit, may, after recording its reasons for holding such claim or defence to be false or vexatious, make an order for the payment to the object or by the party by whom such claim or defence has been put forward, of cost by way of compensation. (2) No Court shall make any such order for the payment of an amount exceeding three thousand rupees or exceeding the limits of it pecuniary jurisdiction, whichever amount is less: Provided that where the pecuniary limits of the jurisdiction of any Court exercising the jurisdiction of a Court of Small Causes under the Provincial Small Cause Courts Act, 1887 (9 of 1887) or under a corresponding law in force in any part of India to which the said Act does not extend and not being a Court constituted under such Act or law, are less than two hundred and fifty rupees, the High Court may empower such Court to award as costs under this section any amount not exceeding two hundred and fifty rupees and not exceeding those limits by more than one hundred rupees : Provided, further, that the High Court may limit the amount or class of Courts is empowered to award as costs under this Section. (3) No person against whom an order has been made under this section shall, by reason thereof, be exempted from any criminal liability in respect of any claim or defence made by him. (4) The amount of any compensation awarded under this section in respect of a false or vexatious claim or defence shall be taken into account in any subsequent suit for damages or compensation in respect of such claim or defence." (b) the defence by the defendant, where the defendant was ordered to pay such costs. Explanation.--Where separate defences have been raised by the defendants or groups of defendants, payment of such costs shall be a condition precedent to the further prosecution of the defence by such defendants or groups of defendants as have been ordered by the Court to pay such costs. "One view has been that the provisions of Sections 35 and 35A CPC do not in any way affect the wide discretion vested in by High Court in exercise of its inherent power to award costs in the interests of justice in appropriate civil cases. The more sound view however is that though award of costs is within the discretion of the court, it is subject to such conditions and limitations as may be prescribed and subject to the provisions of any law for the time being in force; and where the issue is governed and regulated by Sections 35 and 35A of the Code, there is no question of exercising inherent power contrary to the specific provisions of the Code. Further, the provisions of Section 35A seems to suggest that even where a suit or litigation is vexatious, the outer limit of exemplary costs that can be awarded in addition to regular costs, shall not exceed Rs. 3000/-. It is also to be noted that huge costs of the order of Rs. Fifty thousand or Rs. One lakh, are normally awarded only in writ proceedings and public interest litigations, and not in civil litigation to which Sections 35 and 35A are applicable. The principles and practices relating to levy of costs in administrative law matters cannot be imported mechanically in relation to civil litigation governed by the Code." (e) The provisions relating to costs should not however obstruct access to courts and justice. Under no circumstances the costs should be a deterrent, to a citizen with a genuine or bonafide claim, or to any person belonging to the weaker sections whose rights have been affected, from approaching the courts. At present these goals are sought to be achieved mainly by sections 35,35A and 35B read with the relevant civil rules of practice relating to taxing of costs. (e) such other amount as may be allowable under the rules or as may be directed by the court as costs. We are informed that in Delhi, the advocate's fee in regard to suits the value of which exceeds Rs.5 lakhs is : Rs.14,500/- plus 1% of the amount in excess of Rs.5 lakhs subject to a ceiling of Rs.50,000/-. The prevalent view among litigants and members of the bar is that the costs provided for in the Code and awarded by courts neither compensate nor indemnify the litigant fully in regard to the expenses incurred by him. (a) the conduct of all the parties; (b) whether a party has succeeded on part of his case, even if he has not been wholly successful; and (c) any payment made into court or admissible offer to settle made by a party which is drawn to the courts attention. 'Conduct of the parties' that should be taken note by the court includes: (a) conduct before, as well as during, the proceedings and in particular the extent to which the parties followed the relevant pre-action protocol; (b) whether it was reasonable for a party to raise, pursue or contest a particular allegation or issue; (c) the manner in which a party has pursued or defended his case or a particular allegation or issue; and (d) whether a claimant who has succeeded in his claim, in whole or in part, exaggerated his claim. Similar provisions, with appropriate modifications may enable proper and more realistic costs being awarded. 51. As Section 35 of the Code does not impose any ceiling the desired object can be achieved by the following: (i) courts levying costs, following the result, in all cases (non-levy of costs should be supported by reasons); and (ii) appropriate amendment to Civil Rules of Practice relating to taxation of costs, to make it more realistic in commercial litigation. 10. 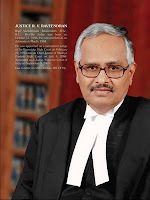 Learned counsel for the respondents submitted that in awarding actual costs, the High Court was merely following the decision of a three-Judge Bench of this court in Salem Advocates Bar Association. He drew our attention to para 37 of the said decision (which is extracted in the judgment of the High Court), in particular, the observation that "costs have to be actual reasonable costs including the cost of time spent by the successful party, the transportation and lodging, if any, and any other incidental costs besides the payment of the court fee, lawyer's fee, typing and other costs in relation to the litigation." The High Court has also assumed that the above observations of this Court in Salem Advocates Bar Association enabled it to award "actual" costs. The High Court has opened its order with the following words: "The importance of this decision lies not in any substantial question of law having been decided - indeed, no question of law was urged before us, only issues touching upon facts. The importance lies in the nature of the dispute between the parties, which is a purely commercial dispute in which litigation expenses have touched the sky. In our opinion, the only way in which a successful litigant can be compensated financially is by awarding actual costs incurred by him in the litigation. The Supreme Court has recommended this course of action and we think the time has come to give more than serious weight and respect to the views of the Supreme Court. We have endeavoured to do just that in this appeal by awarding to the respondents the actual litigation expenses incurred by them, which is a staggering Rs.45,00,000/." We are afraid that the respondents and the High Court have misread the observations of this Court in Salem Advocates Bar Association. All that this Court stated was that the actual reasonable cost has to be provided for in the rules by appropriate amendment. In fact, the very next sentence in para 37 of the decision of this Court is that the High Courts should examine these aspects and wherever necessary, make requisite rules, regulations or practice directions. What has been observed by this court about actual realistic costs is an observation requiring the High Courts to amend their rules and regulations to provide for actual realistic costs, where they are not so provided. We have noticed that section 35 does not impose a restriction on actual realistic costs. Such restriction is generally imposed by the rules made by the High Court. The observation in Salem Advocates Bar Association is a direction to amend the rules so as to provide for actual realistic costs and not to ignore the existing rules. The decision in Salem Advocates Bar Association is therefore of no assistance to justify the award of such costs. The Rules permit costs to the awarded only as per the schedule. Therefore, as the Rules presently stand. Whatever may be the `actual' expenditure incurred by a party, what could be awarded as costs is what is provided in the Rules. 11. There is one more aspect which requires serious consideration. What is the meaning of the words `actual realistic costs' assuming that costs could be awarded on such basis? Whether it can be said that ` 45,28,000/- said to have been incurred (made up of ` 29,73,000/- paid to Mr. S, Senior Advocate, ` 14,41,000/- paid to Mr. G, Senior Advocate, ` 85,500/- paid to Mr. M, Advocate, ` 16,750/- paid to Mr. V, Advocate and ` 11,750/- incurred as miscellaneous expenses) was the `actual realistic cost' of an appeal against an interim order in a suit for injunction? The actual realistic cost should have a correlation to costs which are realistic and practical. It cannot obviously refer to fanciful and whimsical expenditure by parties who have the luxury of engaging a battery of high-charging lawyers. If the logic adopted by the High Court is to be accepted, then the losing party should pay the costs, not with reference to the subject matter of the suit, but with reference to the fee paying capacity of the other side. Let us take the example of a suit for recovery of ` One lakh. If a rich plaintiff wants to put forth his case most effectively, engages a counsel who charges ` One lakh per hearing and the matter involves 30 hearings, should the defendant be made to pay costs of 30 lakhs, in a suit for recovery of ` One lakh merely because it is a commercial dispute? In a matter relating to temporary injunction, merely because the court adjourns the matter several times and one side engages a counsel by paying more than a lakh per hearing, should the other side be made to bear such costs? The costs memo filed by the respondents show that ` 45,28,000/- was paid to four counsel? If a rich litigant engages four counsel instead of one, should the defendant pay the fee of four counsel? If a party engages five senior Advocates and five ordinary counsel because he is capable, should the losing party pay the fees of all these counsel? The appeal came up on several occasions, but the final hearing of the appeal was only on a few days and other days were mere appearances. Should the losing party pay for such appearances? If respondents had engaged two senior counsel who charged ` Two lakhs per appearance, should the other side be made liable to pay ` 1.5 crore as costs? Even if actual costs have to be awarded, it should be realistic which means what a "normal" advocate in a "normal" case of such nature would charge normally in such a case. Mechanically ordering the losing party to pay costs of ` 45,28,000/- in an appeal against grant of a temporary injunction in a pending suit for permanent injunction was unwarranted and contrary to law. It cannot be sustained. 12. Though this takes care of the actual dispute between the parties, it is also necessary to refer to the larger question of costs in civil suits. For this purpose, during the hearing, this Court requested Dr. Arun Mohan, learned senior counsel to assist as an Amicus Curiae in the matter. In pursuance of it, Dr. Arun Mohan collected and made available considerable material with reference to practices relating to levy of costs in several other jurisdictions. We find that the schemes/processes for assessment of costs in some of the western countries may not be appropriate with reference to Indian conditions. The process of taxation of costs has developed into a detailed and complex procedure in developed countries and instances are not wanting where the costs awarded has been more than the amount involved in the litigation itself. Having regard to Indian conditions, it is not possible or practical to spend the amount of time that is required for determination of `actual costs' as done in those countries, when we do not have time even to dispose of cases on merits. If the Courts have to set apart the time required for the elaborate procedure of assessment of costs, it may even lead to an increase in the pendency of cases. Therefore, we requested Dr. Arun Mohan to suggest ways and means of simplifying costs procedures to suit Indian conditions so that appropriate suggestions could be made to the Government. He has put forth several suggestions. Law Commission of India has also intervened and made several valuable suggestions. Notices were issued to the High Courts to ascertain the Rules and procedures in force in regard to costs. For convenience, we will refer to Delhi High Court Rules as the present matter arises from Delhi. 15. We may also note that the description of the costs awardable under Section 35A "as compensatory costs" gives an indication that is restitutive rather than punitive. The costs awarded for false or vexatious claims should be punitive and not merely compensatory. In fact, compensatory costs is something that is contemplated in Section 35B and Section 35 itself. Therefore, the Legislature may consider award of 'punitive costs' under section 35A. 17. A time has come when at least in certain type of litigations, like commercial litigations, the costs should be commensurate with the time spent by the courts. Arbitration matters, company matters, tax matters, for example, may involve huge amounts. There is no reason why a nominal fixed fee should be collected in regard to such cases. While we are not advocating an ad valorem fee with reference to value in such matters, at least the fixed fee should be sufficiently high to have some kind of quid- pro-quo to the cost involved. Be that as it may. 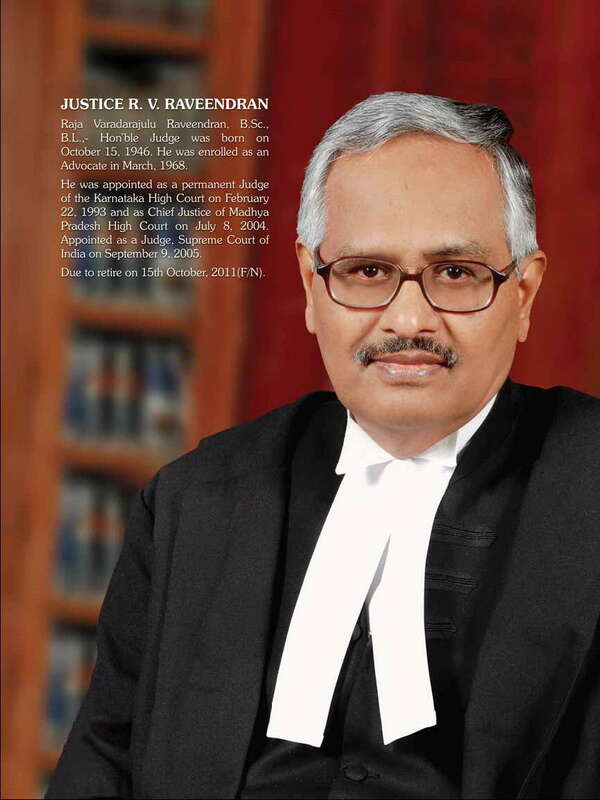 "Re: Trial Courts So far as awarding of costs at the time of judgment is concerned, awarding of costs must be treated generally as mandatory in as much as the liberal attitude of the Courts in directing the parties to bear their own costs had led parties to file a number of frivolous cases in the Courts or to raise frivolous and unnecessary issues. Costs should invariably follow the event. Where a party succeeds ultimately on one issue or point but loses on num- ber of other issues or points which were unnecessarily raised, costs must be appropriately apportioned. Special reasons must be assigned if costs are not being awarded. Costs should be assessed according to rules in force. If any of the parties has unreasonably protracted the proceedings, the Judge should consider exercising discretion to impose exemplary costs after tak- ing into account the expense incurred for the purpose of attendance on the adjourned dates. Re: Appellate Courts Awarding of costs must be treated generally as mandatory in as much as it is the liberal attitude if the Courts in not awarding costs that has led to frivolous points being raised in appeals or frivolous appeals being filed in the courts. Costs should invariably follow the event and reasons must be assigned by the appellate Court for not awarding costs. If any of the parties have unreasonably protracted the proceedings, the Judge shall have the discretion to impose exemplary costs after taking into account the costs that may have been imposed at the time of adjournments." 20. The Supreme Court Rules (Second Schedule) prescribes a fee of `2400/- for leading counsel and `1200/- for Associate Advocate in regard to defended appeals and suits or writ petitions. For special leave petitions, it is `800/- for leading counsel and `400/- for Advocate-on-Record. It is of some interest to note that the fee paid to amicus curiae in criminal appeals in Supreme Court and to the Legal Aid counsel appointed by Supreme Court Legal Services Committee is much higher than the above scale of fees. There is need to provide for awarding realistic advocates' fee by amending the relevant rules periodically. This Court, of course, in several cases has directed payment of realistic costs. But this Court could do so, either because of the discretion vested under the Supreme Court Rules, 1966 or having regard to Article 142 of the Constitution under which this Court has the power to make such orders as are necessary to do complete justice between the parties. 21. A serious fallout of not levying actual realistic costs should be noted. A litigant, who starts the litigation, after sometime, being unable to bear the delay and mounting costs, gives up and surrenders to the other side or agrees to settlement which is something akin to creditor who is not able to recover the debt, writing off the debt. This happens when the costs keep mounting and he realizes that even if he succeeds he will not get the actual costs. If this happens frequently, the citizens will lose confidence in the civil justice system. When a civil litigant is denied effective relief in Courts, he tries to take his grievances to `extra judicial' enforcers (that is goons, musclemen, underworld) for enforcing his claims/right thereby criminalising the civil society. This has serious repercussions on the institution of democracy. 24. Clause (a) of section 31(8) of Arbitration and Conciliation At, 1996 (`Act' for short) deals with costs. It provides that unless otherwise agreed by the parties, the costs of an arbitration shall be fixed by the arbitral tribunal. The explanation to sub-section (8) of section 31 makes it clear that `costs' means reasonable costs relating to (i) the fees and expenses of the arbitrators and witnesses, (ii) legal fees and expenses, (iii) any administration fees of the institution supervising the arbitration, and (iv) any other expenses incurred in connection with the arbitral proceedings and the arbitral award. Clause (b) of section 31(8) of the Act provides that unless otherwise agreed by parties, the arbitral tribunal shall specify (i) the party entitled to costs, (ii) the party who shall pay the costs, (iii) the amount of costs or method of determining the amount, and (iv) the manner in which the costs shall be paid. This shows that what is awardable is not `actual' expenditure but `reasonable' costs. 25. Arbitrators can be appointed by the parties directly without the intervention of the court, or by an Institution specified in the arbitration agreement. Where there is no consensus in regard to appointment of arbitrator/s, or if the specified institution fails to perform its functions, the party who seeks arbitration can file an application under section 11 of the Act for appointment of arbitrators. Section 11 speaks of Chief Justice or his Designate `appointing' an arbitrator. The word `appoint' means not only nominating or designating the person who will act as an arbitrator, but is wide enough to include the stipulating the terms on which he is appointed. For example when we refer to an employer issuing a letter of appointment, it not only refers to the actual act of appointment, but includes the stipulation of the terms subject to which such appointment is made. The word `appoint' in section 11 of the Act, therefore refers not only to the actual designation or nomination as an arbitrator, but includes specifying the terms and conditions, which the Chief Justice or Designate may lay down on the facts and circumstances of the case. Whenever the Chief Justice or his Designate appoint arbitrator/s, it will be open to him to stipulate the fees payable to the arbitrator/s, after hearing the parties and if necessary after ascertaining the fee structure from the prospective Arbitrator/s. This will avoid the embarrassment of parties having to negotiate with the Arbitrators, the fee payable to them, after their appointment. 27. There is a general feeling among consumers of arbitration (parties settling disputes by arbitration) that ad-hoc arbitrations in India - either international or domestic, are time consuming and disproportionately expensive. Frequent complaints are made about two sessions in a day being treated as two hearings for purpose of charging fee; or about a sessions for two hours being treated as full sessions for purposes of fee; or about non- productive sittings being treated as fully chargeable hearings. It is pointed out that if there is an arbitral tribunal with three arbitrators and if the arbitrators are from different cities and the arbitrations are to be held and the Arbitrators are accommodated in five star hotels, the cost per hearing, (Arbitrator's fee, lawyer's fee, cost of travel, cost of accommodation etc.) may easily run into Rupees One Million to One and half Million per sitting. Where the stakes are very high, that kind of expenditure is not commented upon. But if the number of hearings become too many, the cost factor and efficiency/effectiveness factor is commented. That is why this Court in Singh Builders Syndicate observed that the arbitration will have to be saved from the arbitration cost. 28. Though what is stated above about arbitrations in India, may appear rather harsh, or as an universalisation of stray aberrations, we have ventured to refer to these aspects in the interest of ensuring that arbitration survives in India as an effective alternative forum for disputes resolution in India. Examples are not wanting where arbitrations are being shifted to neighbouring Singapore, Kuala Lumpur etc., on the ground that more professionalized or institutionalized arbitrations, which get concluded expeditiously at a lesser cost, are available there. The remedy for healthy development of arbitration in India is to disclose the fees structure before the appointment of Arbitrators so that any party who is unwilling to bear such expenses can express his unwillingness. Another remedy is Institutional Arbitration where the Arbitrator's fee is pre- fixed. The third is for each High Court to have a scale of Arbitrator's fee suitably calibrated with reference to the amount involved in the dispute. This will also avoid different designates prescribing different fee structures. By these methods, there may be a reasonable check on the fees and the cost of arbitration, thereby making arbitration, both national and international, attractive to the litigant public. Reasonableness and certainty about total costs are the key to the development of arbitration. Be that as it may. How to file writ petition in High Court,what is the cost of suit.